Hearts & Minds: Jason Stein- bass clarinet, Paul Giallorenzo- synthesizer/electric piano, Chad Taylor- drums. NEW ALBUM “ELECTRORADIANCE” RELEASED OCTOBER 5TH, 2018 ON ASTRAL SPIRITS RECORDS. Called a “singularly original unit gleefully trapezing between sound and swing”, Hearts & Minds combines brash fluidity, raw lyricism, and emphatic grooves. 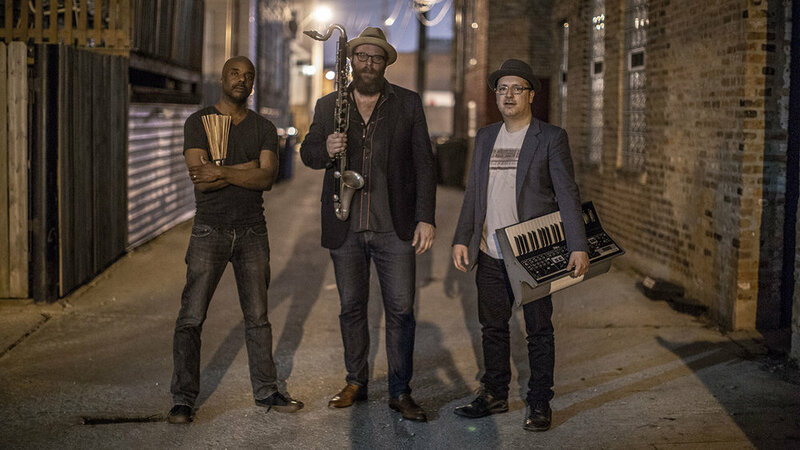 Following Rosaly’s relocation to Amsterdam shortly thereafter, Stein and Giallorenzo began working with ex-Chicagoan drummer Chad Taylor and since then, have played multiple shows throughout the US and are planning to release their second album for Astral Spirits in September of 2018.